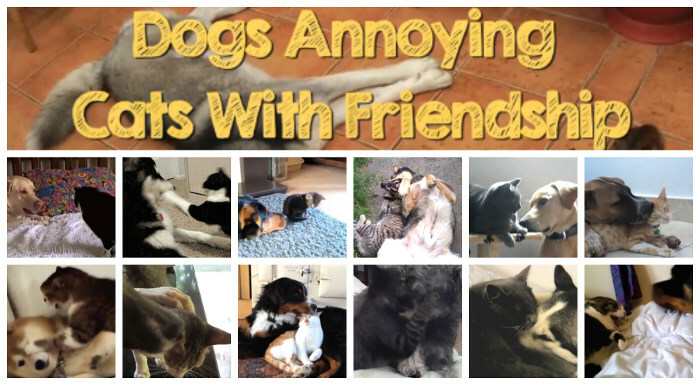 These dogs just wanna be friends with their kitty buddies. Sometimes, so much so that they're a little too eager for a cat's taste. Doggies need to learn that kitties like things on their own terms and need to respect their purrsonal space. Only then will the dogs stop being sooooo annoying! A lesson for the doggies: You can't make a beeline for the feline and not expect to get thwacked sometimes!